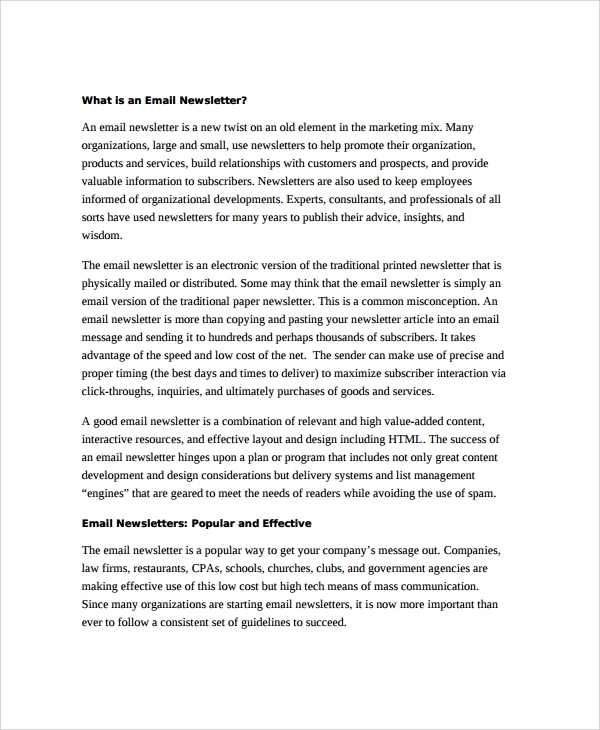 The email newsletter style is particularly for sending a newsletter by email. 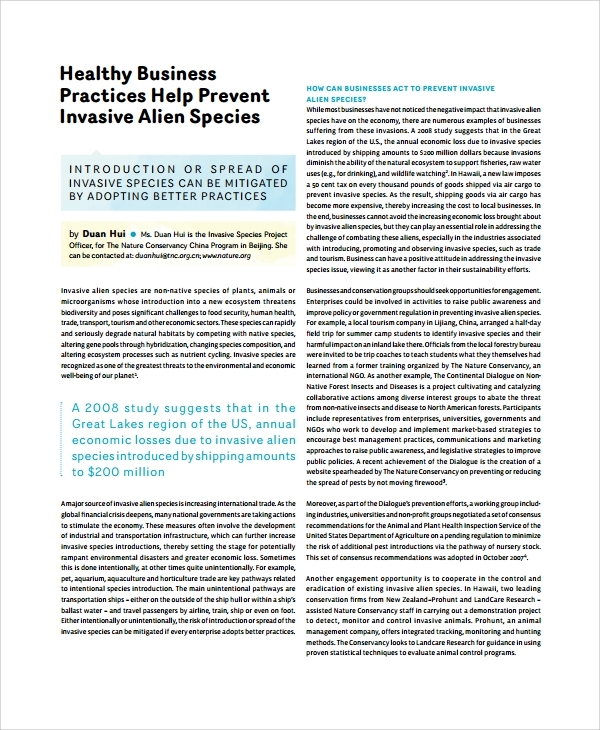 Since this will not be printed and is not a paper media thing, it won’t have some styles and formalities which print formats have. This will be strictly the email type, easy and yet tricky, and hence you must follow the template to get a nice grip of the style. The business newsletter template is one which contains a business proposal or sharing of business decision with associates, etc. That is why the style of this newsletter will be different and you would need a template to distinguish the particular style from other formats. 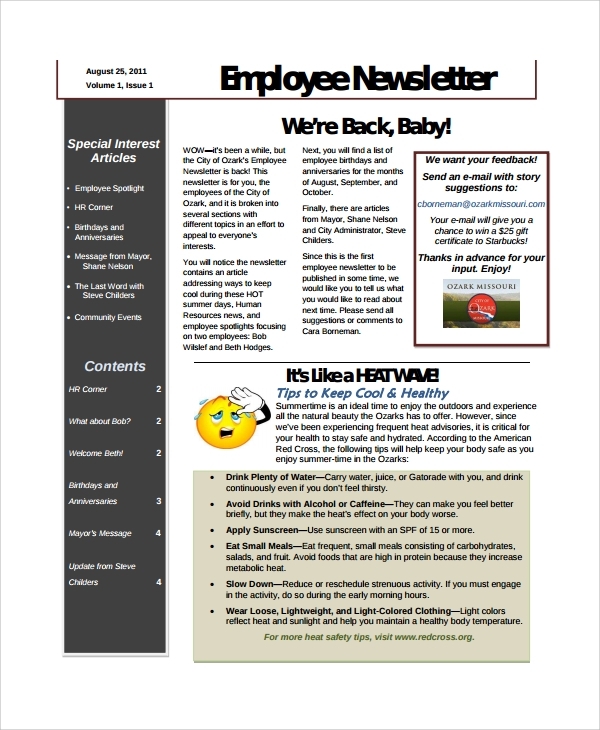 The monthly newsletter style is quite common and every office and business which communicates with their associates periodically, relies on their monthly newsletters. However the same boring format which you keep on using month on month will not fetch you attention, and for some nice styling you need these templates. 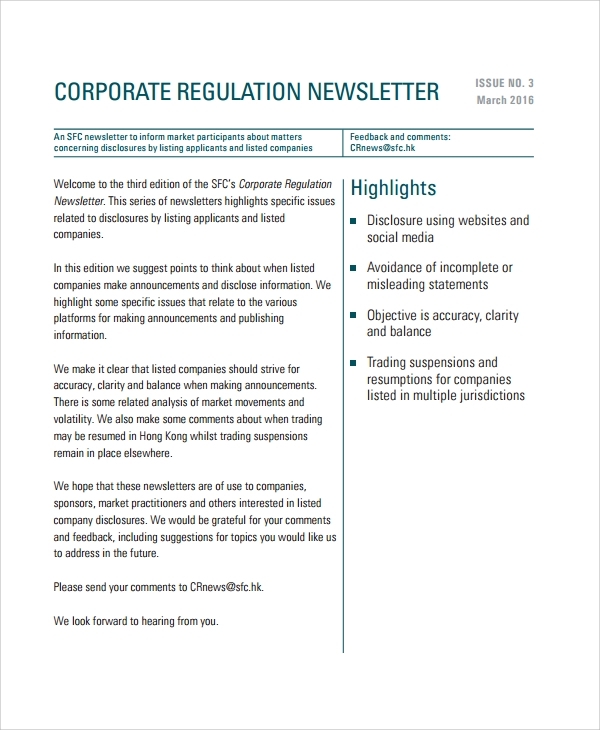 What is the Corporate Newsletter Format? 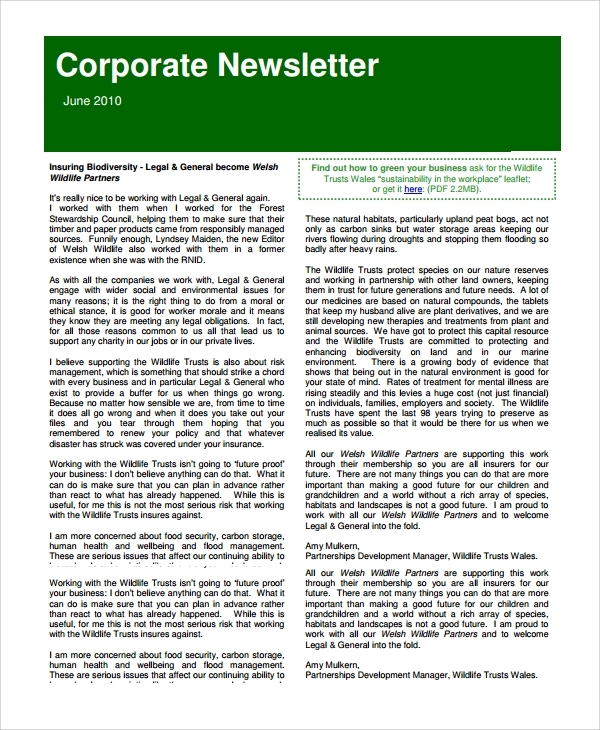 What is the Importance of a Corporate Newsletter Template? Often new startups, and new offices who are trying to adapt to the corporate culture, adapt to changes, try things and formats. But their novice stage and unsure status often lead them to some mistakes. Internal mistakes can be tackled. But a newsletter should be perfect. 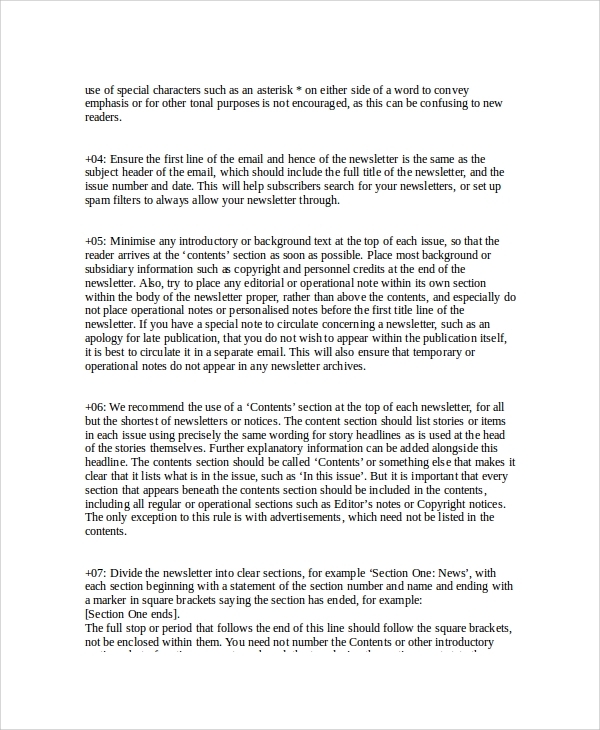 No mistakes can be allowed in a newsletter style or the body. That’s because it is the representation of the company or the business, and it actually speaks on behalf of being the representative of the sender. That is why to get the best acceptable corporate format, which will be error free and tip top in presentation, these corporate newsletter templates are deemed highly important. 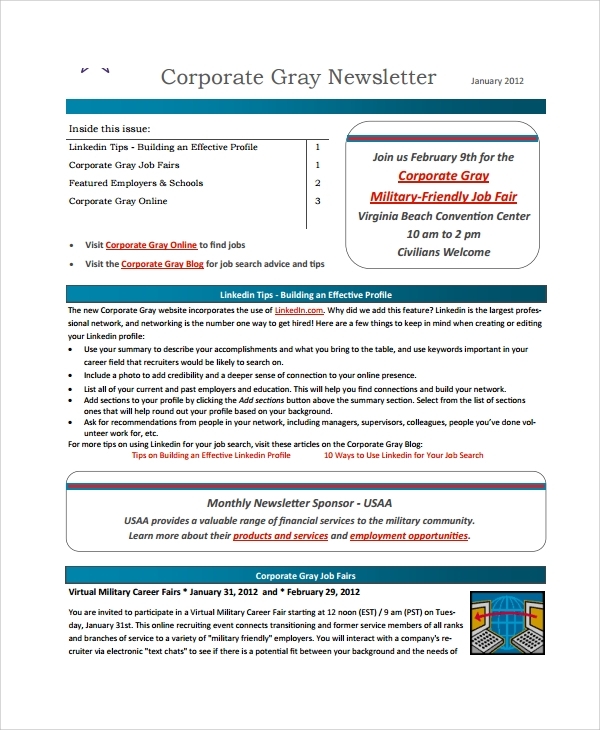 You can be accurate and perfect in newsletter making if you follow a simple and free corporate newsletter template. This will not just give you a glimpse of the global standards, but will also train you the corporate style over time, as you practice more and more month by month on the same or various templates.